Some of the best treasures of Mexico will be visited on a new cruise, the first ever sailing from Puerto Peñasco – Rocky Point, located just a few hours drive from Phoenix and Tucson. “This is an exciting project that we have been very much looking forward to announcing together with the Mexican states of Baja California Sur and Sonora and the state of Arizona – the first opportunity to cruise from Puerto Peñasco – Rocky Point,” said John Dennis, Vice President of Sales & Marketing for CMV USA. “Our new ‘Treasures of the Sea of Cortez’ voyage takes travelers to discover some of the best kept secret destinations of Mexico from a beautiful seaside town conveniently located just outside Arizona,” Dennis said. 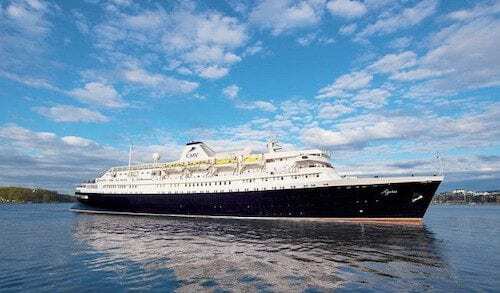 The news offers travelers a memorable way to explore the splendid Sea of Cortez with the introduction of its new 12-day soft expedition cruise program that is part of CMV’s new “Voyages of Exploration” collection. CMV’s “Treasures of the Sea of Cortez” will sail round-trip from Puerto Peñasco to distinctive ports of call in Sonora, Sinaloa, and Baja California Sur including: Puerto Topolobampo, Mazatlan, Cabo San Lucas, La Paz, Loreto, Santa Rosalia and Guaymas. “We are thrilled – not only to be Arizona’s de facto cruise line, but also to welcome guests throughout the country and internationally to experience this inclusive Sea of Cortez itinerary,” Dennis said. “Additionally, we are pleased to share that with countless local drive-to opportunities, as well as superb airlift into Phoenix and Tucson, we have already started to see great interest from many markets, including the UK that has non-stop service into Phoenix,” he said. Born in an era marked by volcanic eruptions and ongoing earthquakes more than 5 million years ago, the Sea of Cortez beckons with natural wonders, amazing wildlife, spectacular islands and much more to explore. In fact, the Sea of Cortez is the richest body of water on planet, featuring many islands designated as UNESCO World Heritage sites, an impressive array of marine mammals, more than 900 species of fish, and plentiful birdlife. It was a voyage here that inspired acclaimed author John Steinbeck to write a book “The Log From the Sea of Cortez“ about his expedition. The the body of water was famously described as a “living aquarium” by Jacques Cousteau. 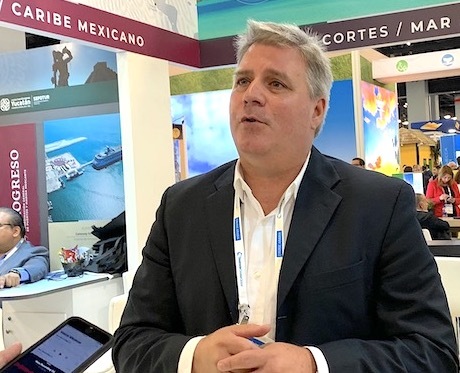 “The largely undiscovered pristine waters of the Sea of Cortez present the Group’s first foray into the soft expedition cruise sector, inaugurating our new ‘Voyages of Exploration’ collection,” said Chris Coates, Group Commercial Director of CMV. 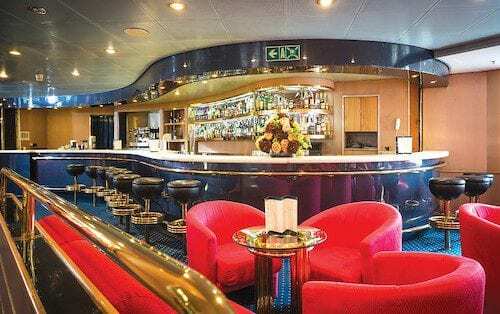 “In tandem, CMV’s Astoria that will perform the program offers a unique, classic boutique style and an authentic cruise experience, supported by an enrichment program and supplemented by classical and more popular themed entertainment,” Coates said. 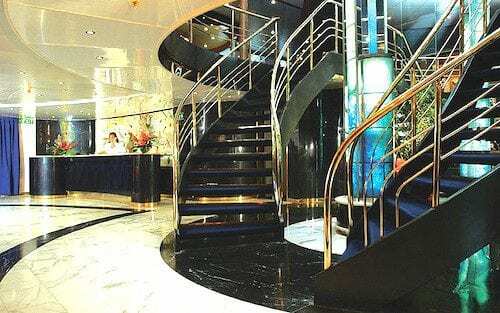 The Astoria will carry just 500 guests structured as an inclusive sailing. Guests will embark in the beautiful seaside town of Puerto Peñasco also known as “Rocky Point” and sail along to Topolobampo, gateway to the Sierra Madre mountain range and Copper Canyon, a series of canyons larger and deeper than the Grand Canyon. Next, they can take some time to play on the coastal boardwalk of Mazatlan, and then relax and rejuvenate alongside the glitterati in the trendy resort town of Cabo San Lucas. From there the cruise heads on to the pristine beach town of La Paz, visited by Hernan Cortez back in 1535. Later, adventurers can enjoy time in Bahia Loreto, a destination brimming with active waterborne fun, such as kayaking, paddle boarding, snorkeling, and diving. The cruise takes guests next to Santa Rosalia, a popular whale watching haven, and then on to the Guaymas with its stunning beaches, desert, and mountains. Rounding out this soft expedition, the cruise sails back to Puerto Peñasco. CMV’s “Treasures of The Sea of Cortez” also presents vast pre- and post-cruise opportunities in Arizona as well as in Mexico. Travelers can look forward to hearing more about a variety of packages CMV will soon be unveiling to include hotel and transportation options to the Port of Peñasco featuring stays in Phoenix, Tucson, and Peñasco that will give travelers even more options to discover the surrounding areas. The program is available for departures on select dates in December 2019 and in January and February of 2020 with rates starting at $1,599 USD per person. Established in 2010, Cruise and Maritime Voyages is an award-winning cruise line that provides a diverse array of cruises departing from ports in the UK, Europe, and Mexico. 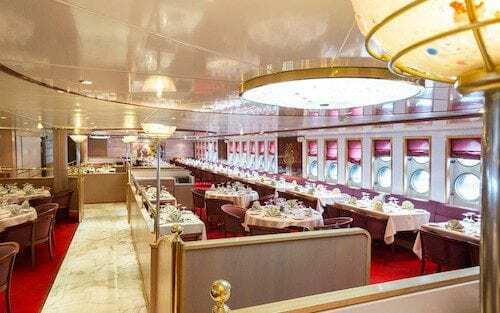 The line operates small to mid-sized classic cruise ships carrying between 500 to 1500 guests and offering a more leisurely, personal and traditional guest experience. CMV carries approximately 150,000 passengers annually and is headquartered in the UK with offices in the United States, Australia, Germany, Mexico and Greece. John Dennis is interviewed at Seatrade in Miami. Newspaper reporter, photographer and travel writer, Jackie has cruised on large and small vessels on numerous rivers and oceans.